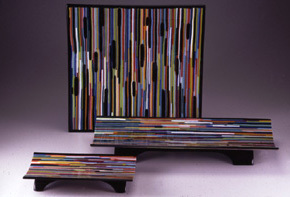 Welcome to ERNEST PORCELLI's Art Glass Studio online. 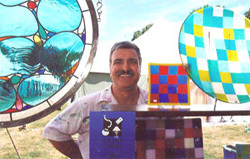 Working out of Brooklyn, New York, Ernest Porcelli has practiced the craft of stained glass art for more than 30 years. In both 2004 and 2005, Ernest was a finalist for the distinguished Niche Award. His work has received notable attention in national publications, appeared in major motion pictures, and featured in museum stores and galleries nationwide. Ernest Porcelli welcomes individual custom commissions and production orders, as well as restoration projects. 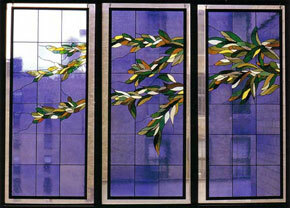 He is listed with New York Landmarks Conservancy as a recommended conservator of leaded glass.